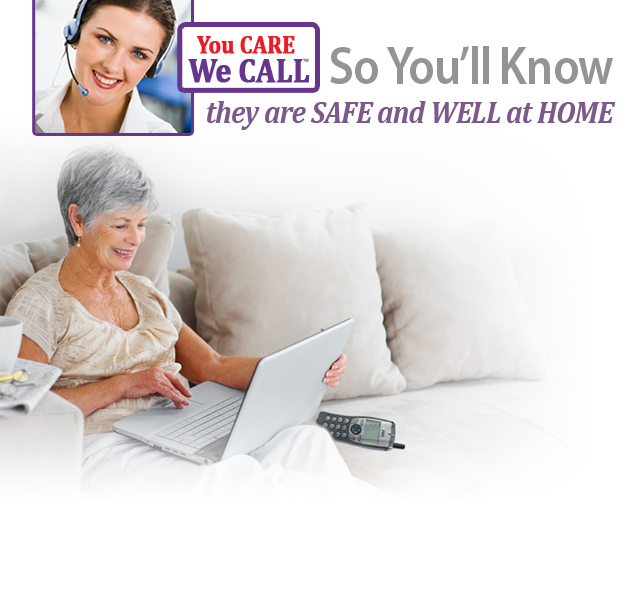 Care Call services to assist independent living by seniors are easy to use. See how it works. Senior Care Plans are flexible and cost effective to facilitate living independently. ENROLL NOW and experience the assurance and freedom from worry that only Reassurance CareCalls™ can provide to your family. As an Aging Resource Center, our goal is to provide the tools and resources available to encourage independent living for seniors and the elderly. Our motto is “You Care, WE CALL” to facilitate aging in place, today and beyond. Don’t want to reach us on the internet? Call us and speak to one of our compassionate and trusted professionals today, we are happy to help you or your loved one aging in place.